Why is the Evo X listed three times? Speedevil wrote Why is the Evo X listed three times? Why all cars are unplayable when the game is classified as Racing?? 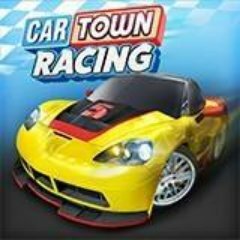 ArigatoDomo312 wrote Why all cars are unplayable when the game is classified as Racing?? It's a racing game so you can assume they're all playable. Old one is I think an Opel Kadett. 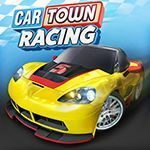 Here's the new fb page - THE GAME NAME IS "Car Town Racing"
So meaning that this game has a garage limit?? I uploaded the new pics from twitter. 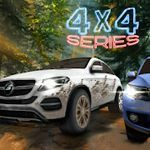 Edit1: Every week Glu Mobile chooses a Car Of The Week in Car Town Racing. Picture of it published on Twitter and FB. Edit2: Also there is some tracks revealed, names is currently unknown. Micheal, please remove white bars by cropping image. Technically we go by similar rule as IMCDB and sadly there are no photo taking instructions, why not? Please fix image. twingo wrote Micheal, please remove white bars by cropping image. Technically we go by similar rule as IMCDB and sadly there are no photo taking instructions, why not? Please fix image. twingo wrote So resize them! 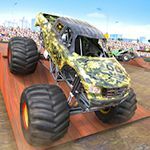 The developer/Publisher of the game is Glu Mobile, not Cie Games anymore. Dumb question, but will this be available for American iOS users on the app store? Superleggera129 wrote Dumb question, but will this be available for American iOS users on the app store? Game currently released for IOS in Malaysia, Phillippines and Singapore! I don't know why but why does this remind me of Car Town? I might not be totally accurate. Maybe the Next Gen Version of Car Town? HURACAN wrote Maybe the Next Gen Version of Car Town? Yes, it is. This game is a new Car Town, old one get closed. Renz203 wrote When will this be released? Beta version of the game currently released for IOS in Malaysia, Phillippines, Singapore, Switzerland, Sweden, Norway and Denmark! Worldwide release this year. Will AMCs appear or this game is finished? Cancelled probably because of Choro Q? MTP02 wrote Cancelled probably because of Choro Q? No, it don't meet the goals. Or because is probably a ripoff or a reskin of Asphalt 8: Airborne, Nitro and Xtreme because the gameplay is the same objective but with Choro-Q look like cars. Year later... What to do with entry?